Are you looking to buy a house and avail a home loan to finance the purchase? As the NDA government completes its five-year term in office, is this the right time to pick that home you are looking for? Well, if you are looking to buy a home for self-use, these could be good times. Home prices have been soft over the past five years and home loan interest rates have declined sharply. A recent study by Anarock Property Consultants showed that average prices across major cities saw a mere seven per cent increase in the past five years. If one factored in inflation, the prices would show an actually fall. Alongside, home loan rates have declined by 16 per cent in five years from an average of around 10.3 per cent in 2014 to 8.85 per cent in 2018. Lenders generally finalise loan eligibility at lower of the two - property value or eligibility based on your income. Your property budget should be based accordingly. If a property value results in a loan where the EMI would eat up a major chunk of your monthly income (generally above 60-65 per cent of net pay), your loan can be rejected. “A prospective home loan applicant should check the extent of his/her loan eligibility online before applying for a loan. This will help a borrower effectively plan for his monthly EMIs and future savings,” says Ashwini Kumar Hooda, Deputy Managing Director, Indiabulls Housing Finnance. A credit score below 750 (out of 900) can lead to rejection of loan application. A high credit score can also mean you can negotiate a better rate with the lender. In case you feel there are discrepancies in the score, get it rectified before applying. The borrower should do a thorough comparison of the various loan offers. “one should assess not just the loan terms such as interest rate, processing fees, prepayment charges, and insurance requirements, but also on service parameters such as turnaround time, customer service, and level of documentation. Customers should also read all loans terms and conditions in the agreement and not rely on any verbal assurances,” says Gupta. If you opt for a fixed interest rate loan your EMI will remain constant throughout the tenure. In floating rate, the rate adjusts to changes in MCLR facility “If a borrower expects the interest rates to decrease in the future he/she should opt for a floating interest rate loan. While a borrower who is comfortable repaying the loan at a fixed rate irrespective of the rates in the market shall opt for a fixed interest rate loan,” Hooda says. The longer the loan tenure, the more interest you have to pay to the bank. However, the EMI can go down in case of opting long tenure. “Loan tenure, is a clear function of applicable interest rate, loan amount and disposable income proposed for EMI repayment. Higher the Interest rate, higher will be the loan tenure, keeping other two variables constant. Any upward and downward changes in these functions will have impact on loan tenure. 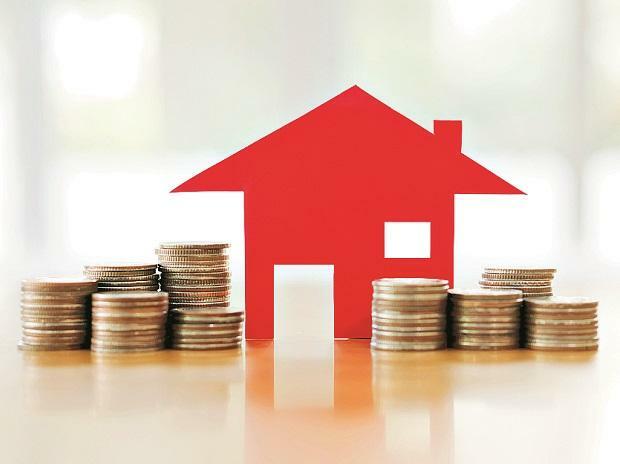 However shorter the loan tenure will have less cash outflow for customer provided disposal income supports higher EMI repayment,” says Ranjeet Kumar Mishra, Chief Credit Officer, ART Housing Finance. Loan-to-value (LTV) is the ratio of a loan to the value of the asset/house property purchased. Under present norms, LTV varies between 75-90 per cent depending on property price. Industry experts say since home Loan rates are not linked to LTV, a borrower can go for maximum LTV available. “A home loan borrower should also look to utilise LTV to maximize the tax benefits available on a home loan. Currently, a prime home loan is extended at around 8.9 per cent p.a. and a loan of Rs 25 lakh will allow a borrower to enjoy the complete deduction of Rs two lakh of interest paid annually towards the home loan from his income tax, resulting in effective cost of loan being less than 3.5 per cent,” says Hooda. The government is offering subsidy under Credit Linked Subsidy Scheme (CLSS) to all home loan borrowers earning below Rs 6 lakh, between Rs 6-12 lakh and between Rs 12 lakh and Rs 18 lakh. The government has introduced the Credit Linked Subsidy Scheme as a part of Pradhan Mantri Awas Yojana. Get in principle approval valid for six months before finalising property.